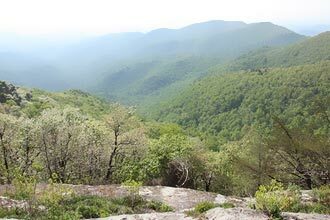 A short section of the Appalachian Trail with only one steep climb, Ramrock Mountain makes a great quick hike if short on time. 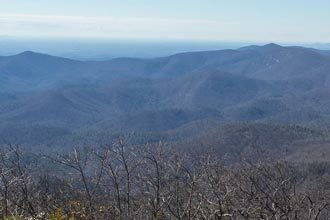 The best part of hiking along the AT is meeting thru hikers just a few days into their long journey to the north. 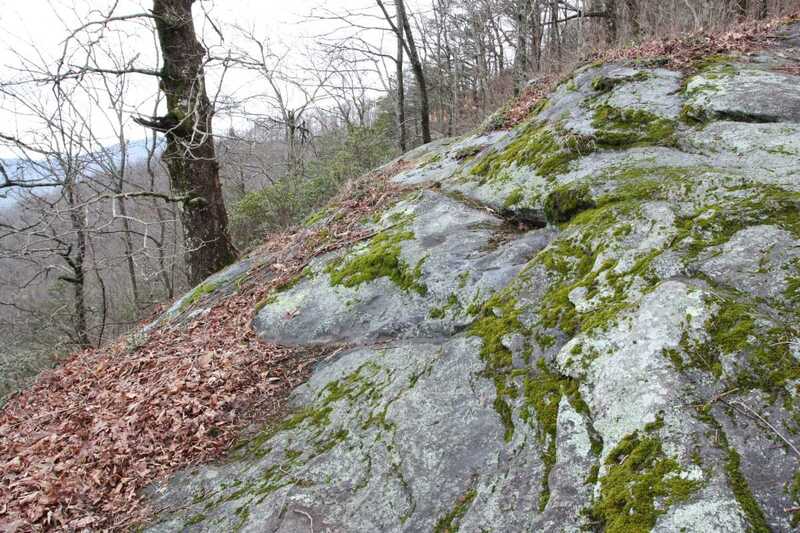 Winter provides the best views, but spring and summer bring wildflowers and fall always provides rich color throughout the southern Appalachians. 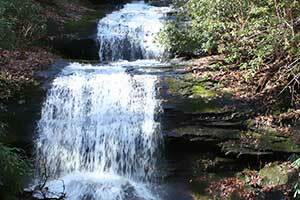 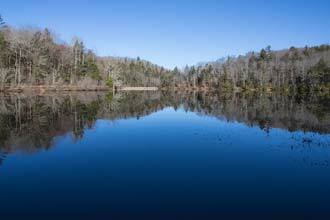 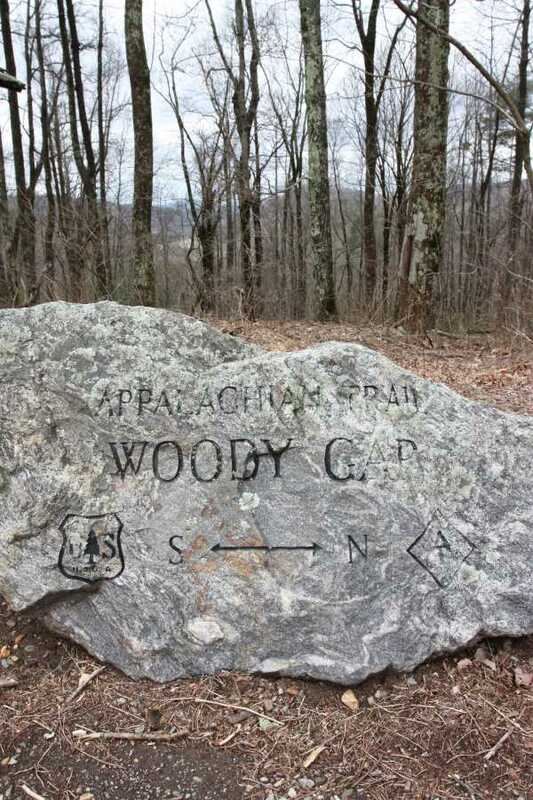 Woody Gap Recreation Area consists of two small parking lots on either side of GA-60. 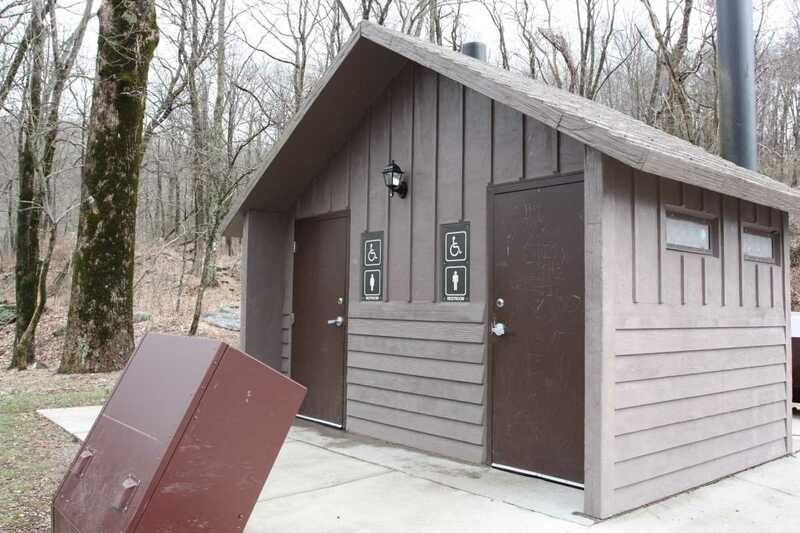 Restrooms are available and picnic tables are scattered about. 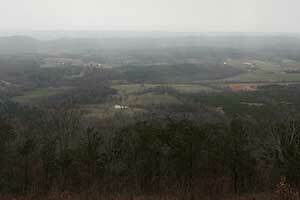 On the south side of the highway, left if coming from Dahlonega, an expansive view looks southward. 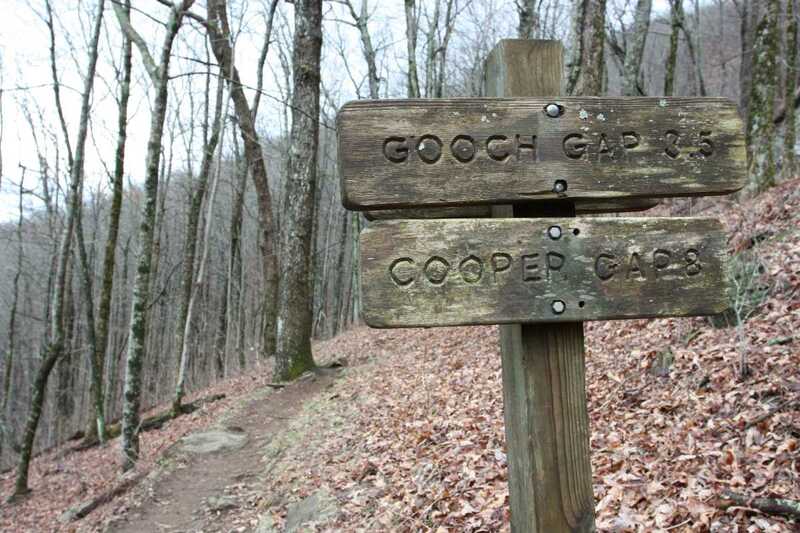 This side is also where this hike begins. 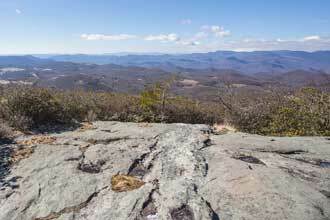 Head south along the Appalachian Trail, walking along the narrow path as it hugs the contour of the hillside. 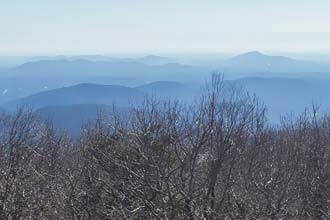 Although easily navigated, the familiar white blazes of the AT are present every so often along this section. 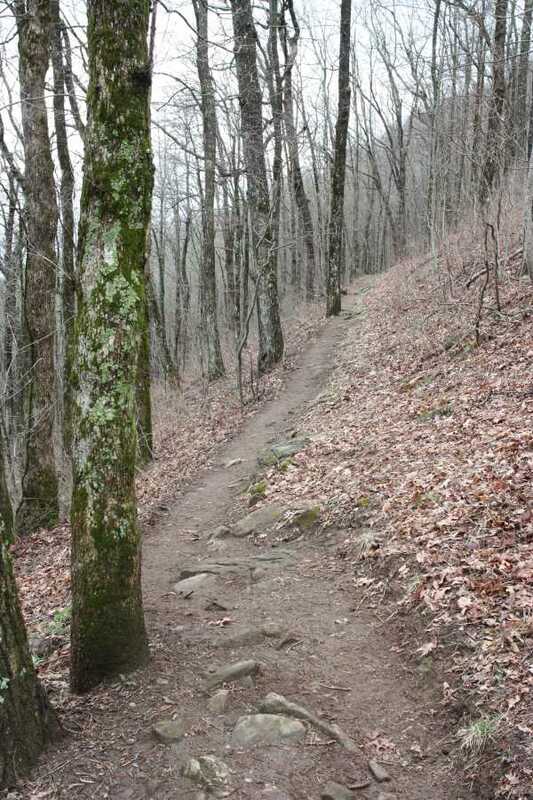 After rain, this entire path can be very muddy and a couple of small stream crossings give all the more reason to wear boots. 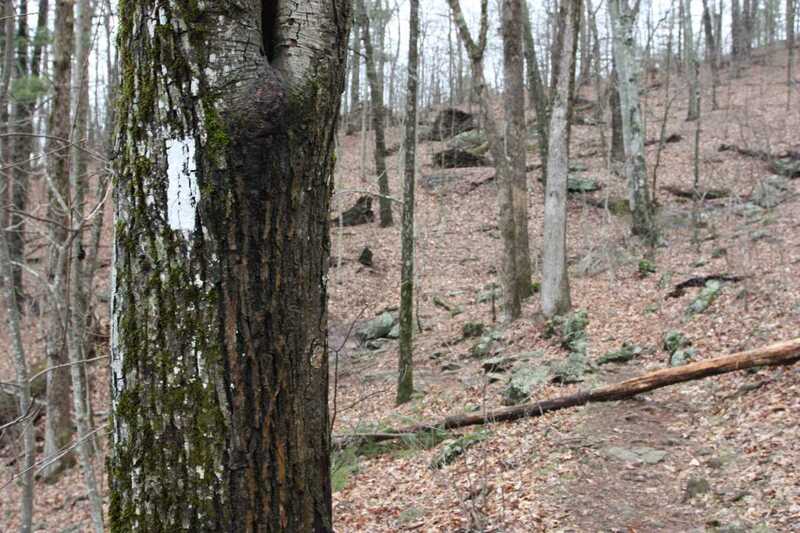 The trail stays relatively level until it hangs a right at .7 miles and begins to head downhill. 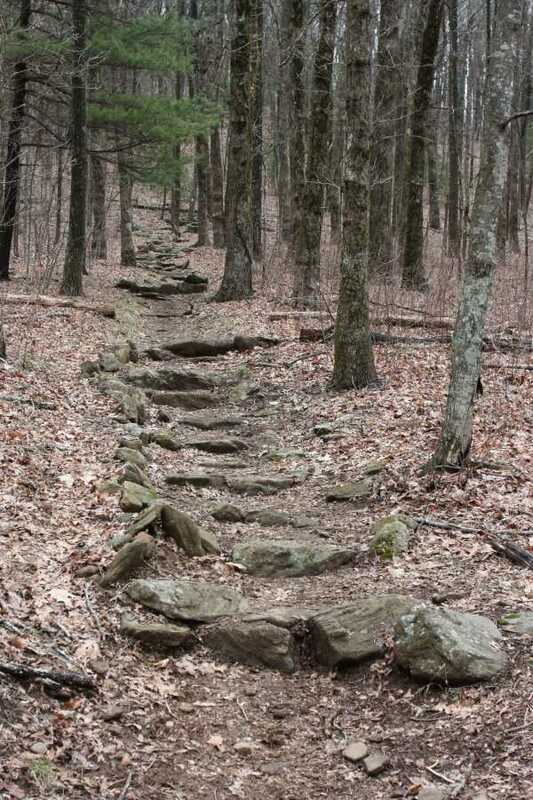 Descending gradually at first, the path soon becomes a long flight of stone steps before bottoming out at the gap before Ramrock Mountain. 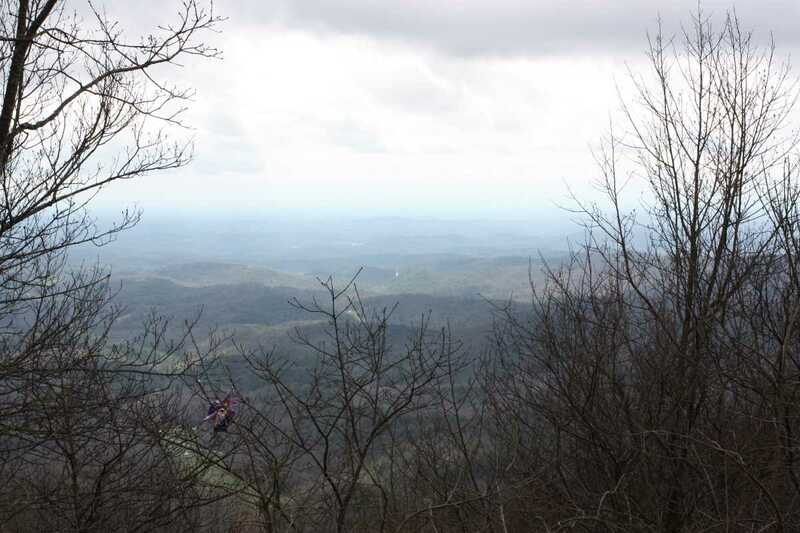 From here, the trail will make its one real steep climb, up 150 feet over .1 miles. 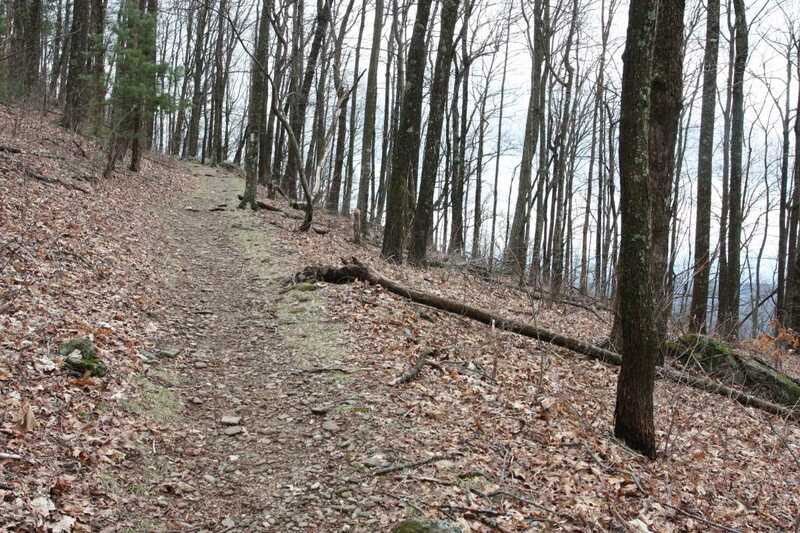 Steep, but short. 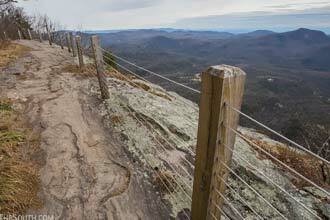 At the top of Ramrock Mountain the trail splits three ways. 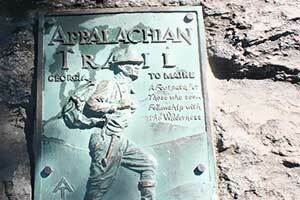 Straight ahead, the AT continues southbound toward Springer. 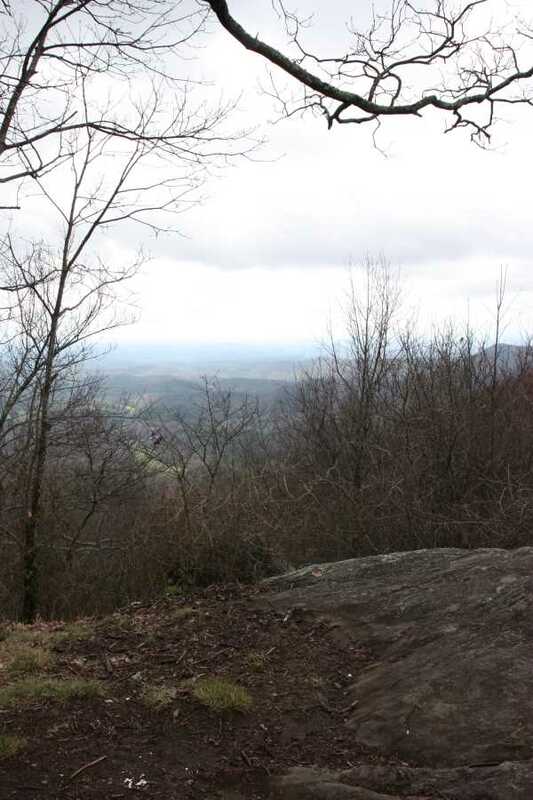 To the right is a small camping area, and to the left is a rocky overlook with a view of the valley below. 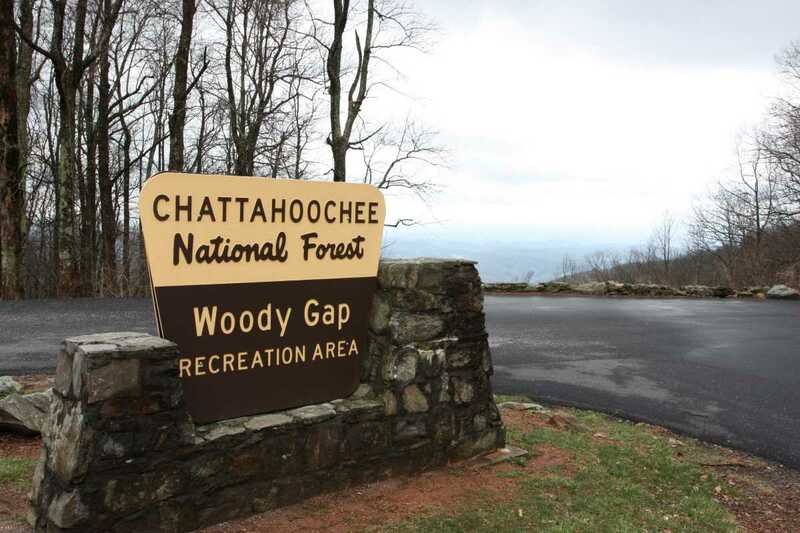 Parking is on either side of the highway, but you want to go south on the AT beginning on the left side of GA-60 if coming from Dahlonega. 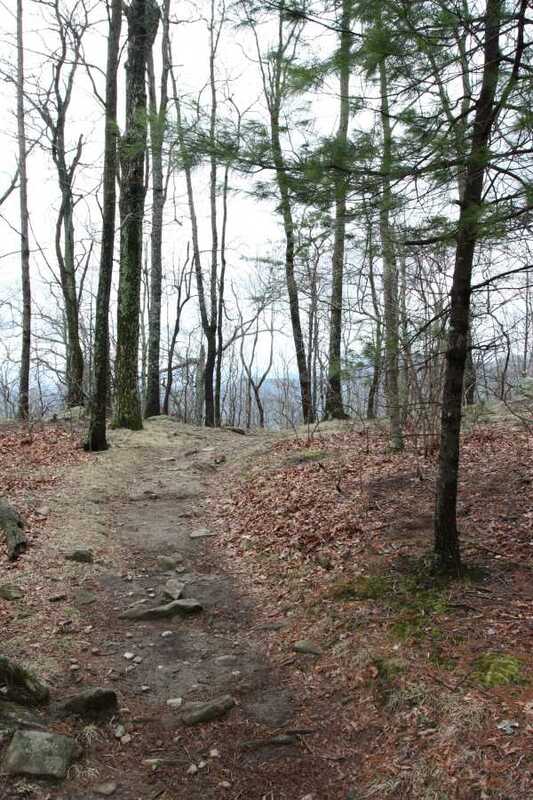 This short section of the AT makes for a nice quick hike although it's probably not something worth travelling very far to. 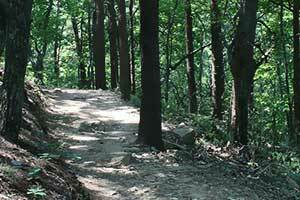 You can, of course, hike as far as you want along the AT in either direction.